Sunday, the best way to spend the last day of the weekend is with your friends, not just comrades, but long time college best buds. It's been three months since me and my friends saw each other and we had a lot of "chika"or catching up to do,but, oh! before we started, we looked for a place to settle and some meals to eat. It was already 7:00 in the evening and we were all hungry. We went straight to a restaurant that offers board games that you can enjoy while munching on their chow but we got disappointed because the place was jam packed. We decided to look for another eating place and find ourselves along Kapitolyo, Pasig City. 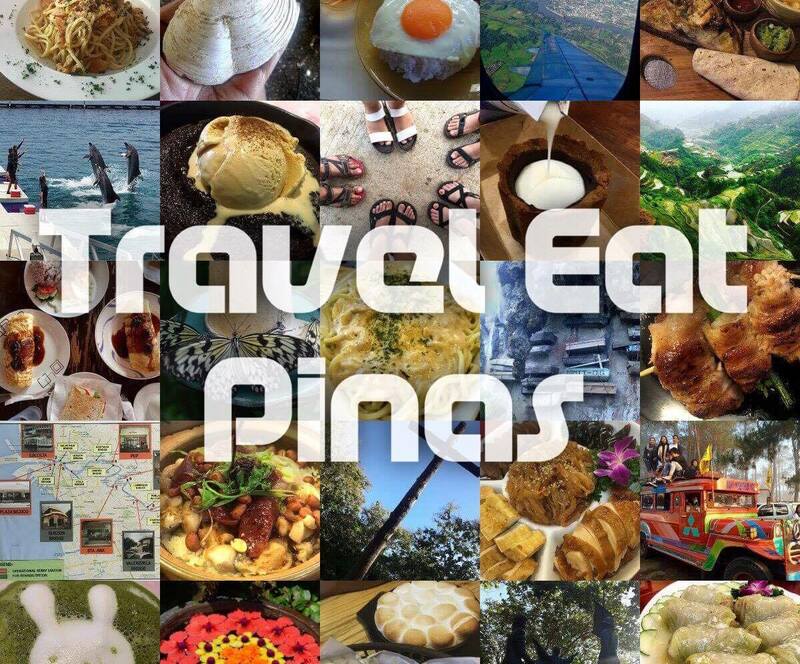 Kapitolyo is a part of Pasig City know for restaurants that offer affordable and delicious food. We searched and searched for a place to dine but we can't find our luck. The restaurants or cafes are either jam packed, has small space, a lot of people are waiting outside for their turn or we don't want the food that they offer. Then we drive to Capitol Commons, Pasig City which is a few blocks away from Kapitolyo. 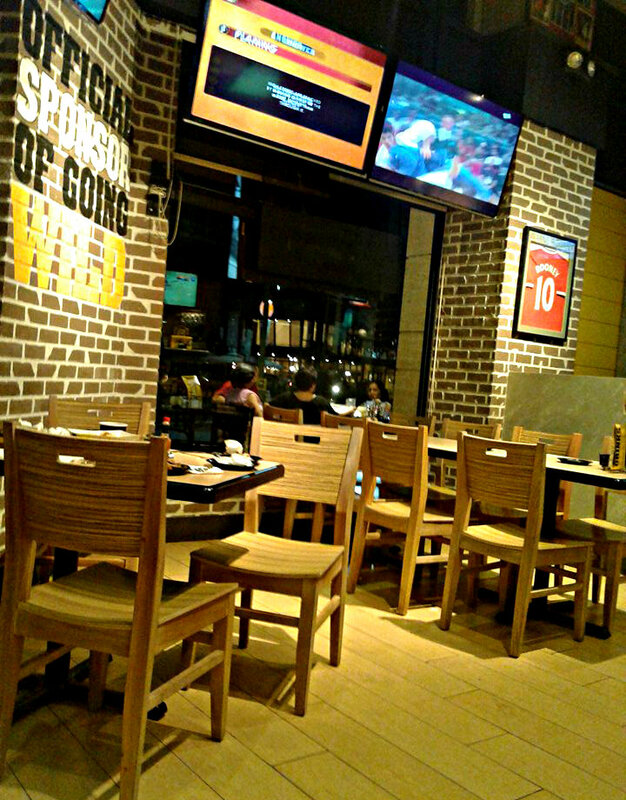 We spotted a sporty looking restaurant and decided that, that is the best place that we can settle and have some chit chat. As I enter Buffalo Wild Wings the sports vibe suddenly run through my vein. Monitors with different sport shows are attached on the corners. Sports equipment like balls and boxing gloves and pictures of famous athletes in frames serves as their ornament even on their comfort room. The place is quiet when we went there but for sure it is lively when there are sports event like basketball, MMA, volleyball or boxing championship. Screens attached on every side of the restaurant. We sat comfortably while reading their menu, we scanned, looked, searched and scanned the menu again and again and... oh well, again! Don't get me wrong, the pictures of their meals are mouthwatering and the description of each and every food that they offer is a real teaser but it is a bit pricey. After deciding on what to munch in we finally came up with Blackened Chicken Sandwich, Cheeseburger Slammers, Pepper Jack Steak Wrap and Half Time Chicken. After a few minutes our orders came in. Lo and behold! they have generous servings. A single meal is good for two already. Blackened Chicken Sandwich is composed of blackened grilled chicken breast topped with Caribbean Jerk Sauce, bleu cheese and served with fries. Chicken and spicy lovers would definitely enjoy this sandwich. Blackened Chicken Sandwich would cost you PHP 395 or USD 8.41.
Pepper Jack Steak Wrap has seasoned prime rib, pepper jack cheese, lettuce, pico de gallo, southwestern ranch dressing and served with fries or corn tortilla with salsa. I love this one! 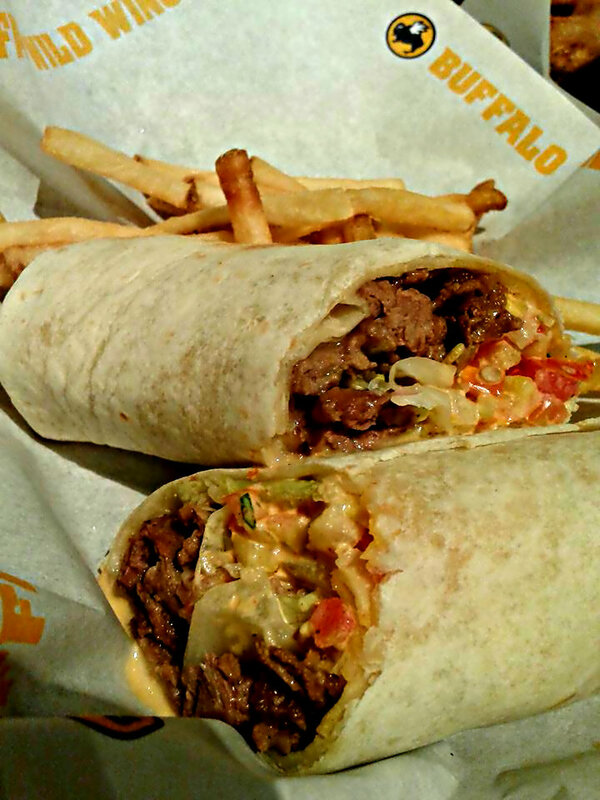 The meat is tender, the lettuce and pico de gallo gave the wrap a crunchy effect and the southwestern ranch dressing kicked a smoky and sweet taste on my mouth. Pepper Jack Steak Wrap is at PHP 495 or USD 10.54. Cheeseburger Slammers is a three bite size sandwich served with natural cut french fries. The meat is tender and these sandwiches are cute and perfect for sharing. Cheeseburger Slammers is at PHP 472 or USD 10.12. Half Time Chicken is a half chicken coated with lemon pepper, salt and vinegar dressing and served with dirty rice and coleslaw. The chicken is a winner! I love the peppery and saltiness of the chicken. The former's skin is crispy and the meat is juicy and tender. The rice perfectly blends with the chicken as well. 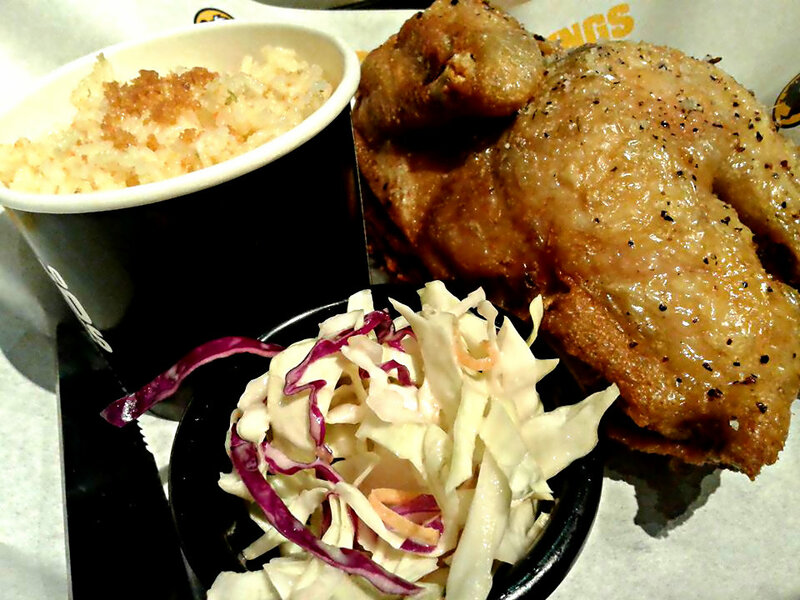 Half Time Chicken costs PHP 395 or USD 8.41. While eating the manager approached us to ask on how the food and their serving was. This is a plus point for me whenever I go to restaurants. After service is important for me because you are showing your clients that you value what they have in mind about your product and services. We stayed for about two hours or so and enjoyed our food and chit chat because there's no loud music and the area is not crowded. Yes, we were a bit shocked with their prices but that was forgotten when we saw their generous servings and ate delicious food. We have a Buffalo Wild Wings close by our house! It's so much fun to go and watch games there - the atmosphere is electric! 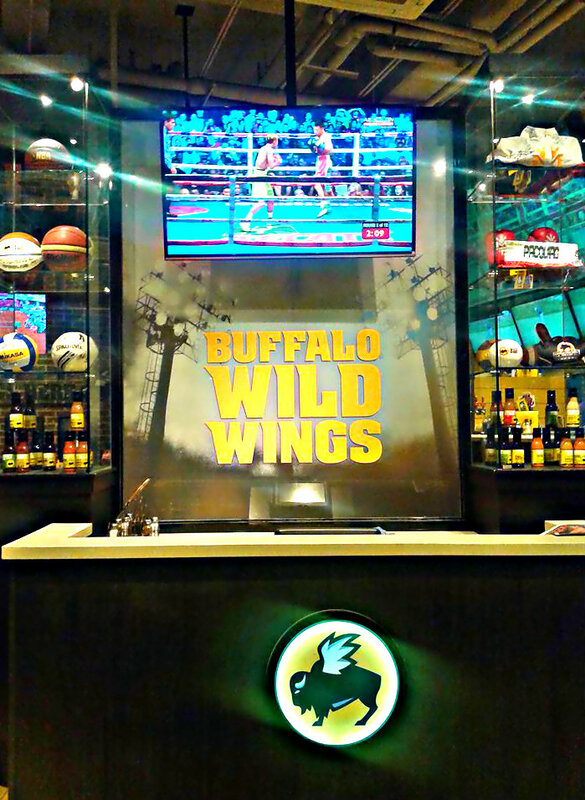 I have been to Buffalo Wild Wings I think twice, although the food is great it is expensive! Going to Wild Wing today to watch the Alabama-Tennessee game! Woohoo! Omg that steak wrap looks amazing! I love a good sports bar! Thanks for introducing me to this restaurant! Mmm, we really like it there. Such great food! 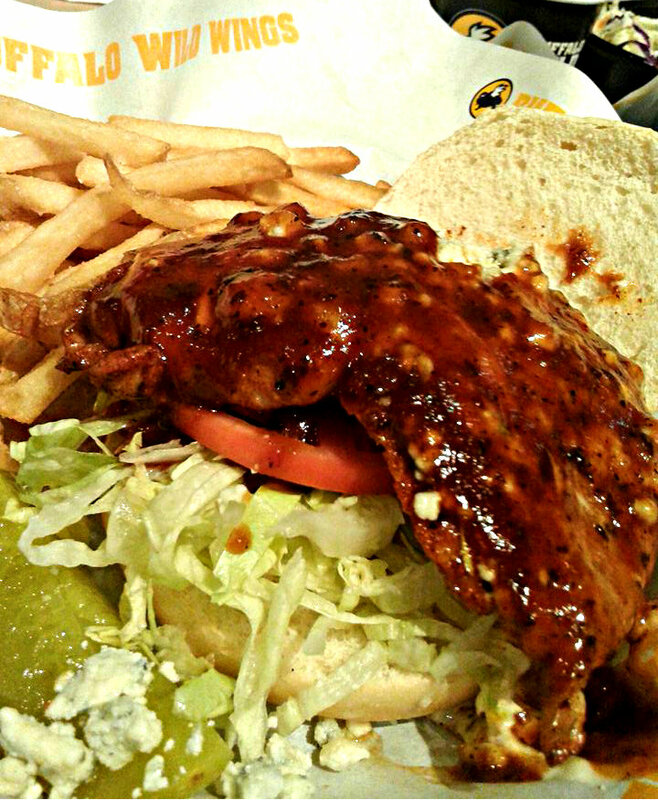 I used to love Buffalo Wild Wings, haven't been in ages! I haven't eaten there in awhile. I love their onion rings!! I would have to say it would be a nice atmosphere to hang out with a group of friends. You are right, nothing beats catching up w college friends + yummy food! I have never been there, can you imagine? I think I've been missing out on some serious meaty deliciousness! This look a cool diner, wish we have something like this in the UK. We love BWW! I love the sports atmosphere and the food is amazing. I haven't ate at BWW yet. I've been wanting to for over a year now. The food looks so good!! The food looks absolutely delicious and love the design of the place too! I would love eating at this restaurant based on the entrees! The blackened chicken looks absolutely divine! 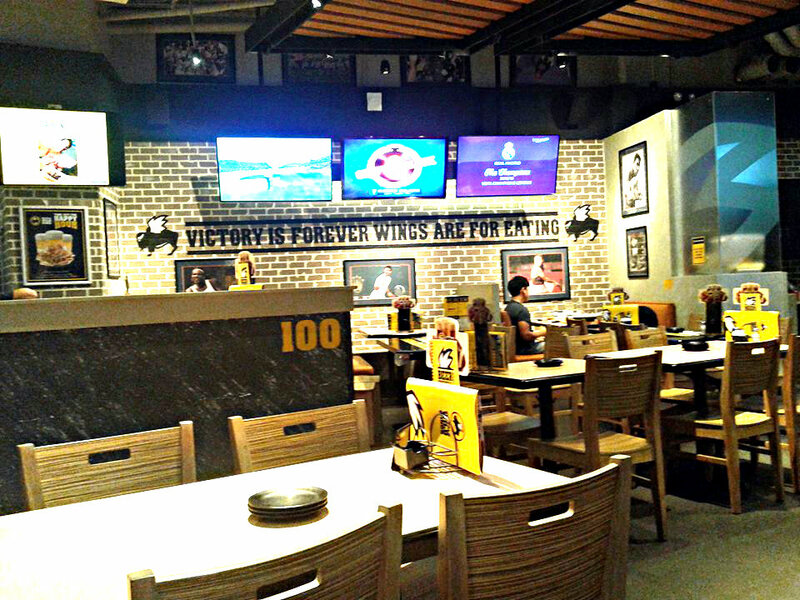 I have never eaten at a Buffalo Wild Wings. I have passed by them several times and smacked my lips thinking about all the great food, but I have never eaten at one. That is a shame. 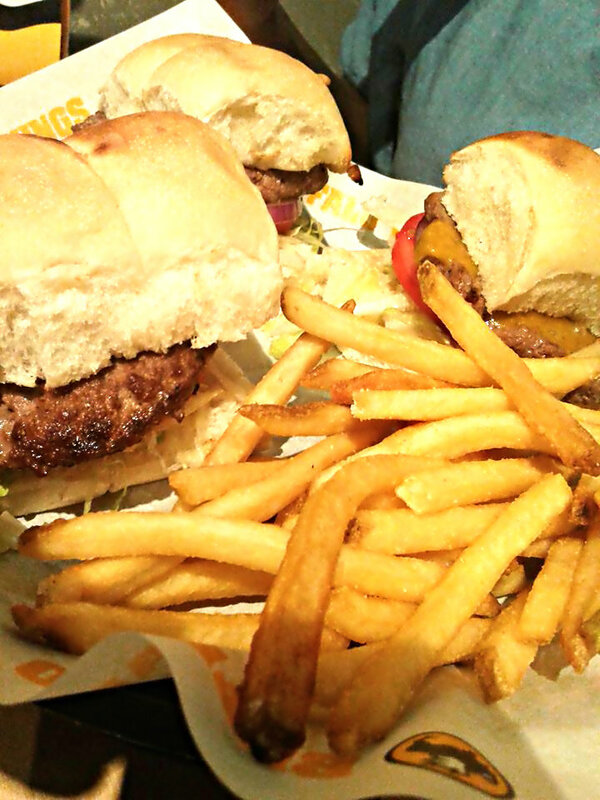 I love buffalo wild wings! I like their mozzarella sticks the best because I don't eat wings. I have dined here and I love it! However, the burgers they served us were really dry. :/ Maybe I'll give it another shot. If one day I will be close to that place I will try it! B dubs is the best on game day! I haven't tried their steak wrap but now I'm intrigued!